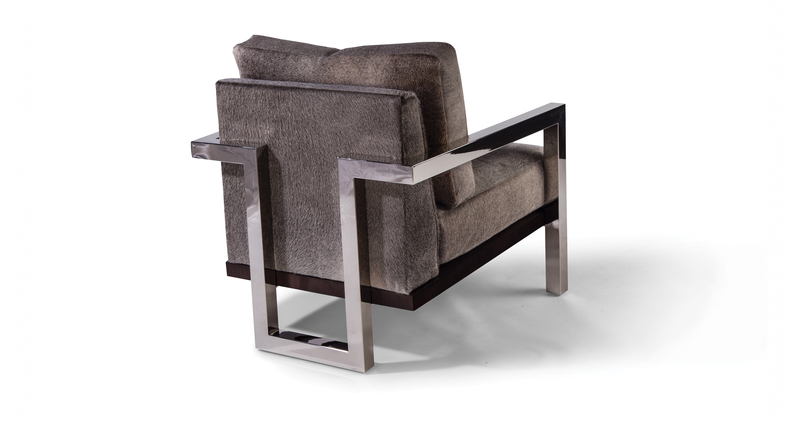 Designed by Ransom Culler, our Lester lounge chair is an architectural combination of wood and polished stainless steel. 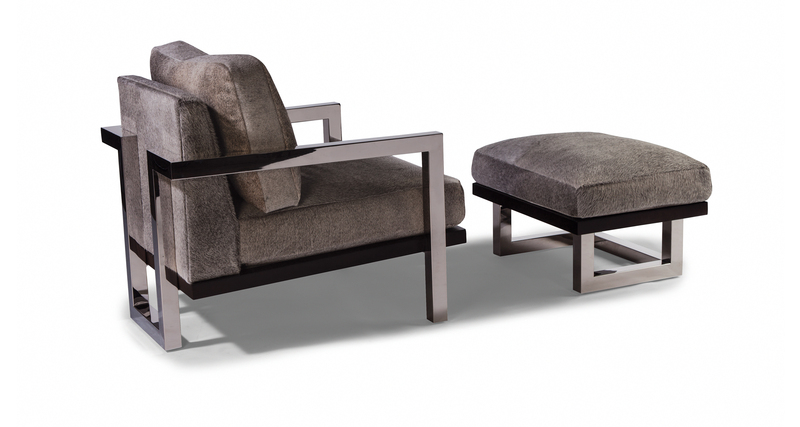 Enjoy the charm of Lester's modern clean lines and sophisticated comfort – seats are filled with luxurious poly blend down. Select any TC wood finish for Lester's solid maple seat deck. Choose from any of our in-house curated fabrics or leathers for upholstery.